Sunday night's Grammy Awards had it all. No matter what your generation, or favorite style of music, there was an entertainer performing it, most former Grammy winners. LL Cool J did not disappoint when he said the opening number would blow you away - Beyonce (above) and Jay-Z. If you didn't get to see the show, and just recorded it, take your time, relax and enjoy the music. Sunday, February 2, is Superbowl XLVIII on Groundhog Day, which is also the title of a film about time loops ... which takes us to reality, time, space, and the illusion of it all, controlled by the impulses in our brains that make it seem real. 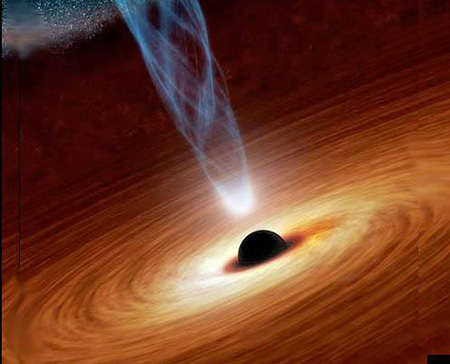 Physicist Stephen Hawking has something new to say about black holes. Though not reversing his theory of their existence, there seems to be some question in his mind about its validity. He has to be reading articles from other physicists about time as an illusion ... space as an illusion ... all of this as an illusion ... and then trying to apply it to the concept of black holes. I see it as part of the awakening process, not only for Hawking, but for all of humanity. As we reach the end of our experience in physical time, the hologram itself is showing us - in many different ways - what it is all about. One day soon it will create an event that will allow everyone to understand who we are and why we are here. Black holes do not exist - at least, not as we know them, says renowned physicist Stephen Hawking, potentially provoking a rethink of one of space's most mysterious objects. A new study from Hawking also says that black holes may not possess "firewalls," destructive belts of radiation that some researchers have proposed would incinerate anything that passes through them but others scientists deem an impossibility. 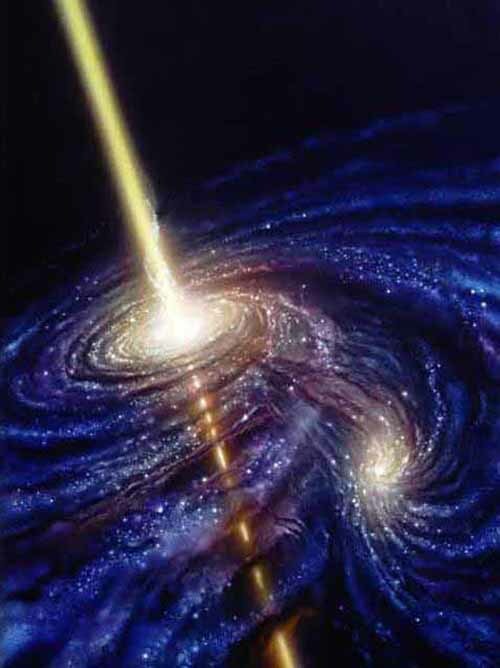 The conventional view of black holes posits that their gravitational pull is so powerful that nothing can escape from them - not even light, which is why they're called black holes. The boundary past which there is supposedly no return is known as the event horizon. 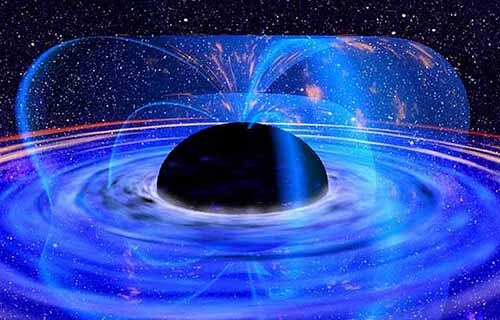 In this conception, all information about anything that ventures past a black hole's event horizon is destroyed. On the other hand, quantum physics, the best description so far of how the universe behaves on a subatomic level, suggests that information cannot ever be destroyed, leading to a fundamental conflict in theory. Now Hawking is suggesting a resolution to the paradox: Black holes do not possess event horizons after all, so they do not destroy information. Do black holes exist? Does an alleged event horizon pull things in ... never to be seen again ... a cosmic one-way street. Is a black hole a vehicle through which light both comes and goes though we can't see it? This of course takes us to theories of dark energy and dark matter ... or do neither of these exist and it's all just an illusion as well as a metaphor? Reality is myth, math, and metaphor set in linear time for our experience. It goes along with my theory of reality as projected illusion emanating from a source, or void, or projector, or "black hole" as it appears black to us as it is beyond our visual spectrum. 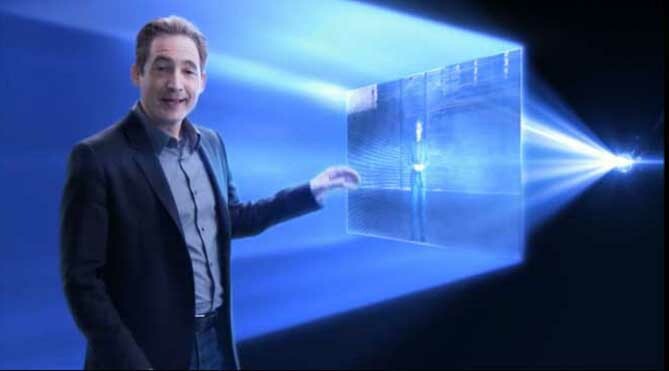 Let's time travel to the year 2011 and a blog I wrote about a PBS special Fabric of the Cosmos in which physicist Brian Greene presents evidence that reality is a hologram and time is an illusion. Little by little ... as the program closes ... we will see the validity of what most physicists have concluded. In Part 1 What is Space - Brian explains how reality is projected through the eye of what one would call a black hole. Please watch the video to better understand. Then read up on Stephen Hawking's lasted theory to understand how the hologram is seeding human consciousness for closure. I spent Sunday with my friend Sherif, a physicist, who said Stephen Hawking's event horizon/black hole theory is not widely excepted in his community. Sherif works with the movement of light - Photonics. He actually agrees with my conclusions about reality and says that we haven't developed the technology to properly explore black holes. 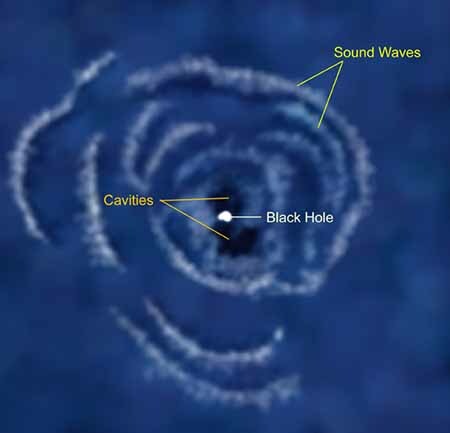 Astronomers have detected sound waves from a super-massive black hole. The "note" is the deepest ever detected from an object in the Universe. The black hole lives in the Perseus cluster of galaxies, located 250 million light-years away. The tremendous amounts of energy carried from the black hole by these sound waves may solve a longstanding problem in astrophysics. The pitch of the sound can be determined. Although far too low to be heard, it is calculated to be B flat. Last year astronomers obtained an image from the orbiting Chandra X-ray telescope showing ripples in the gas filling the Perseus galactic cluster. According to the researchers the ripples are evidence for sound waves that have travelled hundreds of thousands of light years from the cluster's central black hole. In musical terms, the pitch of the sound generated by the black hole translates into the note of B flat. But a human would have no chance of hearing it because the note is 57 octaves lower than middle-C. With a frequency over a million, billion times deeper than the limits of human hearing, it is the deepest note ever detected from an object in the Universe.